The Italian vaccine policy has been perplexing over the past few years. Although Italy is not the center of the vaccine universe, there have been some amusing and troubling decisions out of Italy that have caused me to write about it on a number of occasions. Implementing smart public health policy, Italy has decided that if a child under the age of 6 has not been vaccinated, they will not be able to attend kindergartens or elementary school. And if the child is between ages 7-16, the parents will face a fine. This happened despite the promises of the new Italian government elected in 2018 which seemed to delay the previous government’s law that mandated vaccines. However, the recent measles epidemic hitting Europe, mostly caused by vaccine refusal, and relatively low vaccination rates in the country, probably convinced the government that it needed to protect its citizens. Let’s take a short look at the Italian vaccine policy over the years, and see how we got here. Although I’m not from that country (and only visited a couple of times), I watched the Italian vaccine policy wander back and forth over the past few years. Let’s do a quick review. In 2015, an Italian provincial court decided that Andrew Wakefield’s fraudulent ideas that vaccines are linked to autism took precedence. It ignored the settled science that vaccines are not linked to autism. First of all, courts don’t decide science because that’s not how the law works. Second, they were wrong. In 2016, the Italian Supreme Court overruled the lower court and agreed with real science – vaccines do not cause autism. And they repeated their decision, just because. Of course, anti-vaccine activists used the original ruling to create a manufactroversy about vaccines and autism that simply didn’t exist. In 2017, the Italian government, in response to falling vaccination rates, decided to mandate vaccination for all school-aged children. The law was introduced in 2017 by former health minister Beatrice Lorenzin as a response to a measles outbreak that was threatening the health of Italians. Under what was called the “Lorenzin law,” parents had until 10 March 2019 to comply with the vaccine mandates. In 2018, a new right-wing populist coalition government was elected to lead Italy. Led by the “anti-establishment” Five Star Movement and the far-right Lega Nord party, they had threatened to overturn the Lorenzin law. As far back as 2015, the Five Star Movement has given a platform to links between vaccines and autism. One of their “promises” was to end the vaccine mandate. Anti-vaxxers cheered. As a first step, the new health minister allowed parents to self-certify vaccines for the 2018-2019 school year – to declare whether or not their children were vaccinated (in a sense, rewarding dishonest anti-vaccine parents over honest ones). The new Italian government appeared to be dangerously anti-vaccine but has recently seen the light and moved towards retaining the more rational and scientific pro-vaccine viewpoint of the previous government. 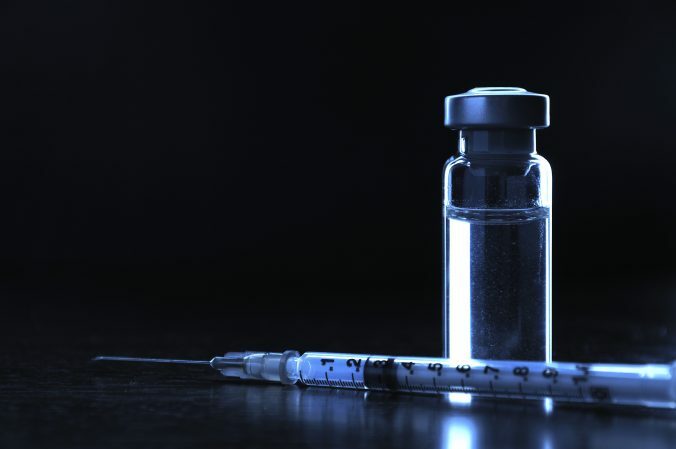 Although not related to a formal Italian vaccine policy, an Italian-based anti-vaccine group, Corvelva, has published two “reports” about vaccines. Neither of the reports was very credible (unless, of course, you are an anti-vaxxer) and were dismissed as garbage science. So that’s the recent history of Italian vaccine policy, at least over the past five or so years. But let’s get to the most recent news. As I mentioned previously, children under the age of 6 must be vaccinated, or they cannot attend school. For children between the ages of 7 and 16, parents will face a fine if they don’t vaccinate their children. The mandatory vaccines include chickenpox, polio, and MMR (for mumps, measles, and rubella). Despite some waffling from the new Italian government along with intense debate, the new mandates came into effect. No vaccine, no school. By now, everyone has had time to catch up. All children have the right to go to class, but I’m sure that parents will understand that the health of everyone is the supreme good, as well as a constitutional right. We have the duty to do everything we can to guarantee it in a universal way, especially to children [who are] immunosuppressed. Thank you. Hopefully, an American politician would just say the same thing. Well, other than California politicians. On 10 March 2019, the Italian Ministry of Health announced that vaccination uptake in Italian children was heading back up. The national vaccine coverage for children born in 2015 was 95.46%, above the herd effect level of 95% recommended by the World Health Organization (WHO). Venice, which is also covered by the new Italian vaccine policy. Photo by Damiano Baschiera on Unsplash. I know that Italy has a reputation of dysfunctional governments since they’ve had like 64 governments in the 74 years since the end of World War II. But they go this one right. The Italian vaccine policy, which mandates vaccinations, is the best choice to save the lives of children from dangerous, often deadly, vaccine-preventable diseases. Few governments have shown the wherewithal to do this. France has mandated vaccines. So has California and Australia. Science tells us that vaccines are safe and effective – this really isn’t subject to a political debate. The only reasons we have a discussion about vaccines are because of ignorant science deniers and a ridiculous political belief that these pseudoscience-loving parents have some ridiculous right to put their children at risk for dangerous diseases. Well, at least Italy got this one right. Let’s have some pizza in celebration. I mean good pizza, nothing with pineapples on it.